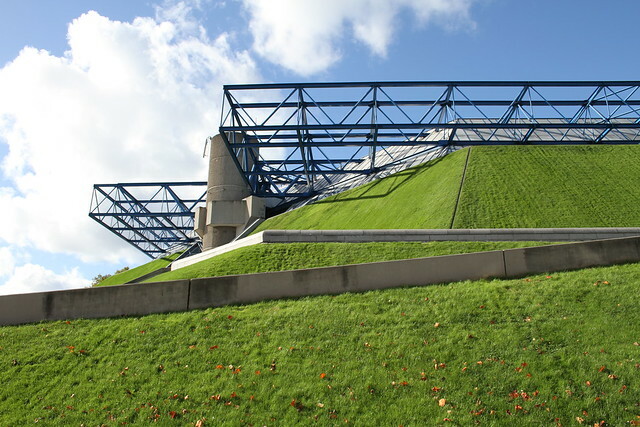 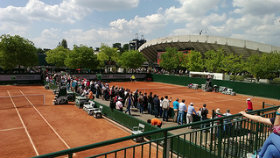 Home of the Paris Bercy Masters since 1986, the POPB (Palais Omnisports Paris Bercy) can be can be easily recognized by its pyramidal shape and its walls covered with sloping lawn. 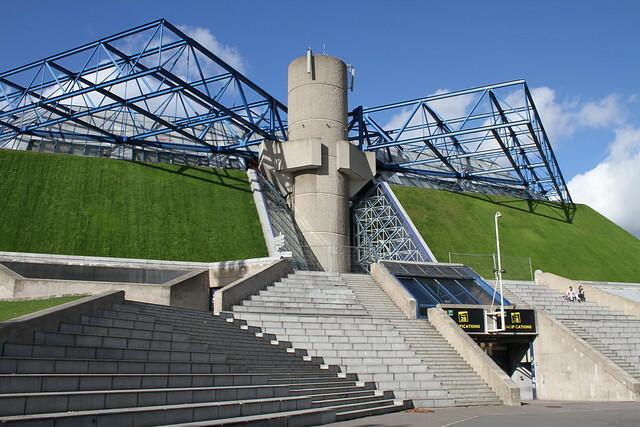 Opened in 1984, it was conceived as a modifiable sports arena capable of accomodating between 3500 and 17000 spectators for over 24 sports from basketball to boxing to tennis. 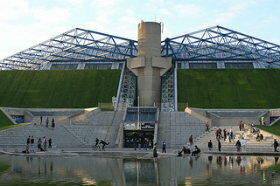 The POPB also hosts some cultural events like concerts and musicals. 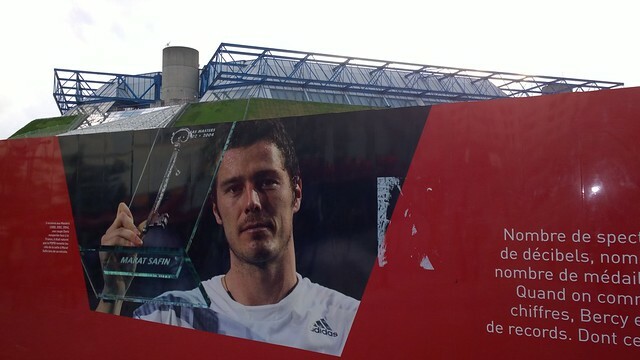 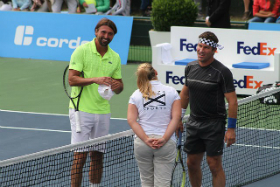 Nice to see you again, Marat! 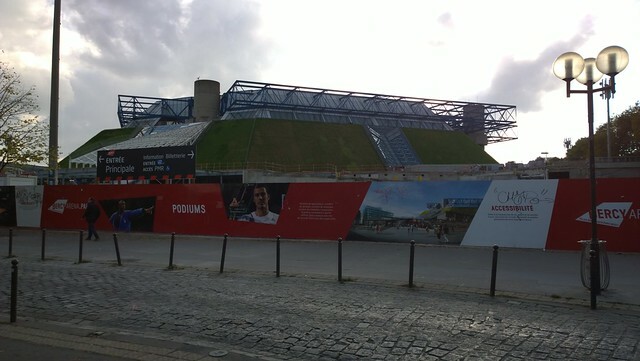 The POPB is indeed undergoing a major modernisation project, with a budget of over 110 million euros. 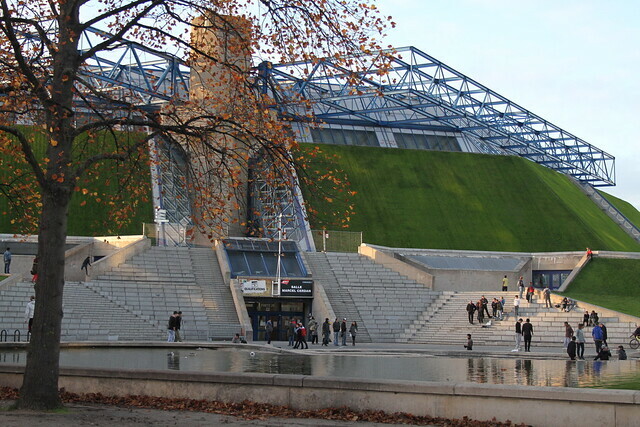 The plan is to make the new POPB (called Bercy Arena) a world class venue with increased seating capacity, VIP areas, box seats as well as new bars and restaurants. 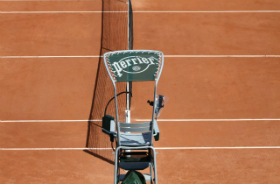 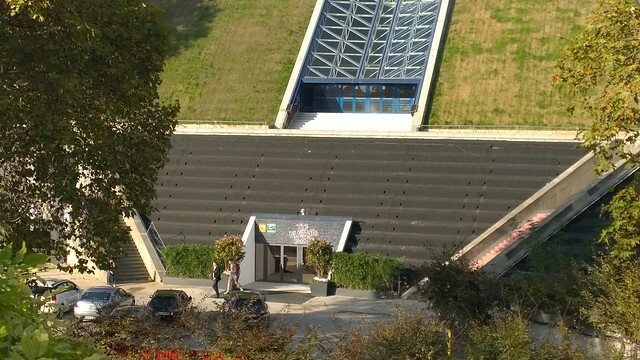 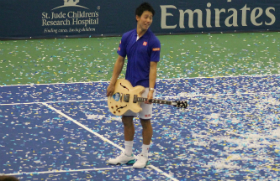 I’m pretty sure the player exiting the stadium was Milos Raonic, what do you think? 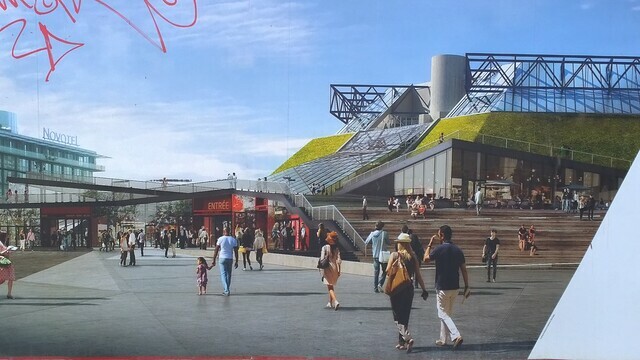 The building will keep its pyramidal form and its outside grass areas, but the stairs will be removed to create a main entrance covering nearly 2,500 m² on street level, and which will house bars, restaurants and partner areas open seven days a week. 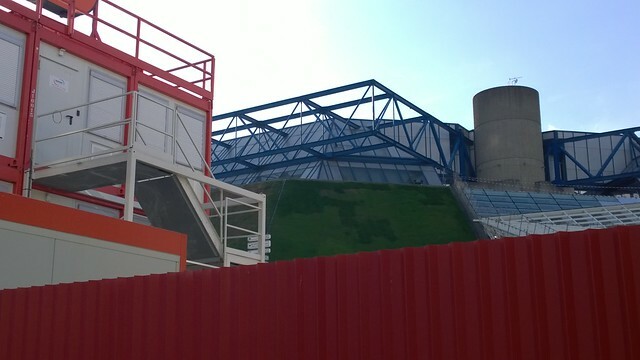 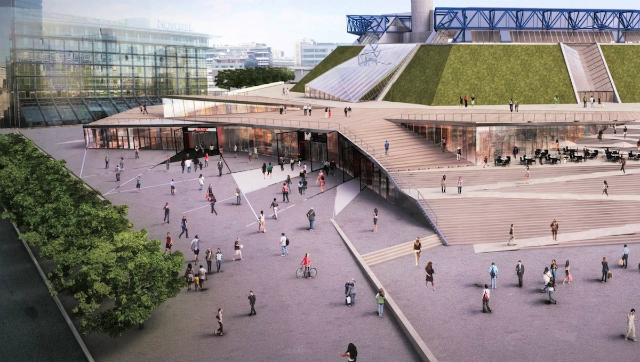 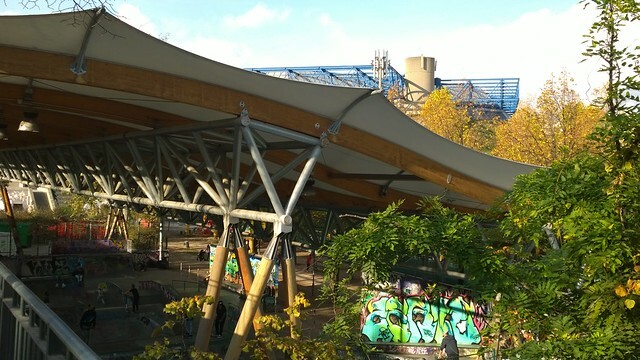 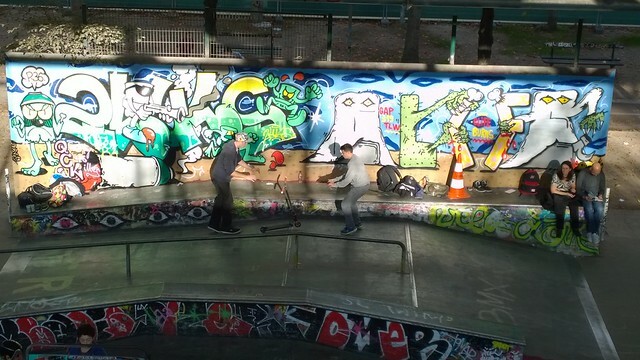 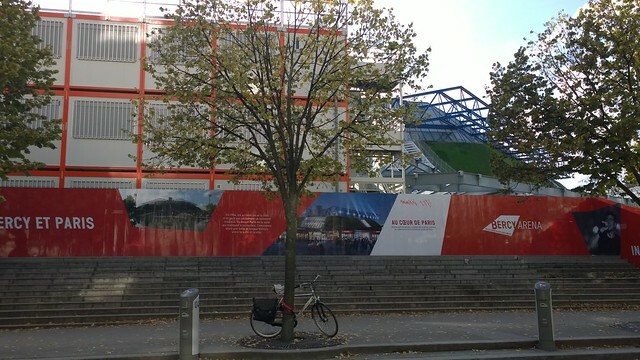 The sloped esplanade will be connected to the Parc de Bercy via a walkway which will join the Bercy Arena to the Bibliothèque François-Mitterrand. 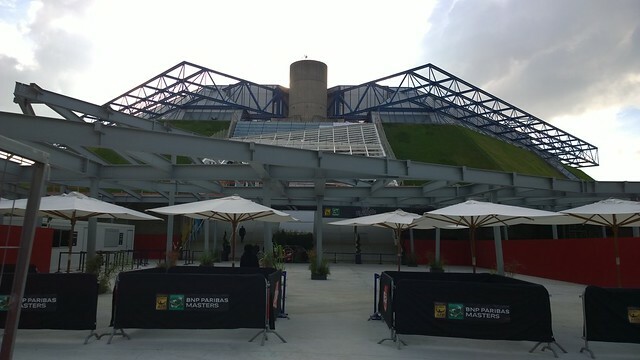 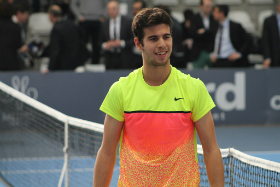 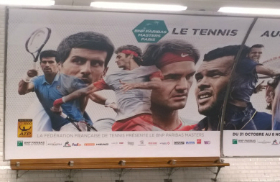 Stay tuned for more Bercy 2014 coverage on Tennis Buzz!